Orthopulse – Clonmel Orthodontics Blog. Both orthodontists and their patients seek to move teeth at the maximum speed possible. 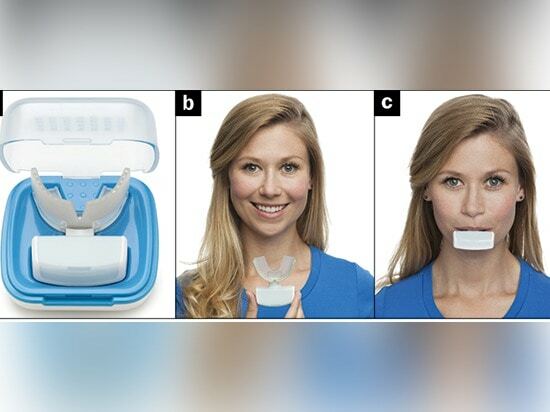 Recently yet another product Orthopulse™ has been launched to the market with claims that it may speed up tooth movement though the manufacturers do not specify by how much it may do so. It is intended to be used in combination with orthodontic treatment, it can be used with labial (outside braces) of the metal or ceramic type, or with inside braces (lingual braces ) for instance of the win™ or incognito™ or Harmony™ type or with aligners like invisalign™ . 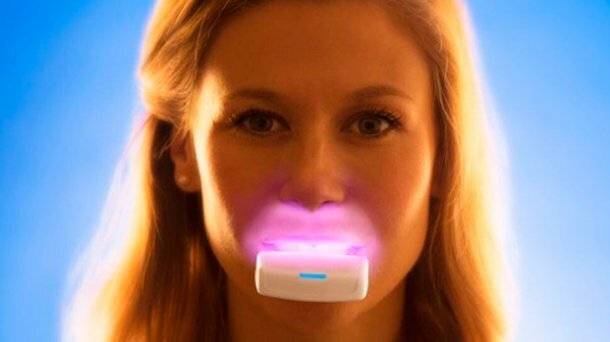 It is suggested that this device may accelerate orthodontic tooth movement (in a non-surgical way). The orthopulse™ device emits a low intensity near infra red light ( 850nm wavelength ) which it is claimed will enhance bone remodelling and consequently speed up the movement of teeth through the bone. Photobiomodulation is the term which is used to decribe its assumed mode of action. It is suggested by the manufacturers that it is used for 10 consecutive minutes everyday. 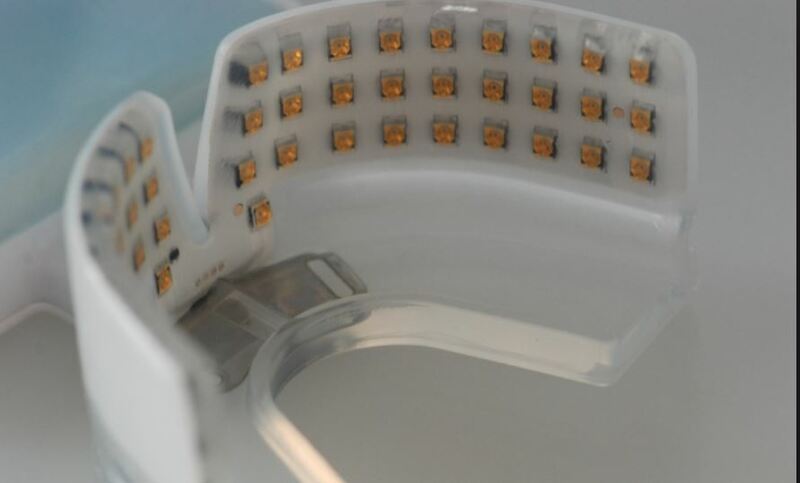 Inside view of orthopulse™ showing multiple light emitting diodes. The results of research are inconclusive 1 , 2 . The orthopulse device is expensive € 850-1000. Until high quality research shows that orthopulse is effective, I feel that I should not recommend it to my patients.